So you want to go on vacation but you don’t want to miss a step in your training? We understand and we have the perfect solution: a bike tour. While yes, we do offer tours for all levels and love seeing beginners exploring the world on two wheels, those advanced riders who want to tackle legendary summits hold a special place in our hearts. Topping out on Mt. Ventoux, L’Alpe d’Huez or other classic giants will absolutely make you a stronger rider and earn you a certain amount of respect from cyclists worldwide. So what are you waiting for? Check out our Best Bike Tours for Advanced Riders! We have to start with one of our favorites. 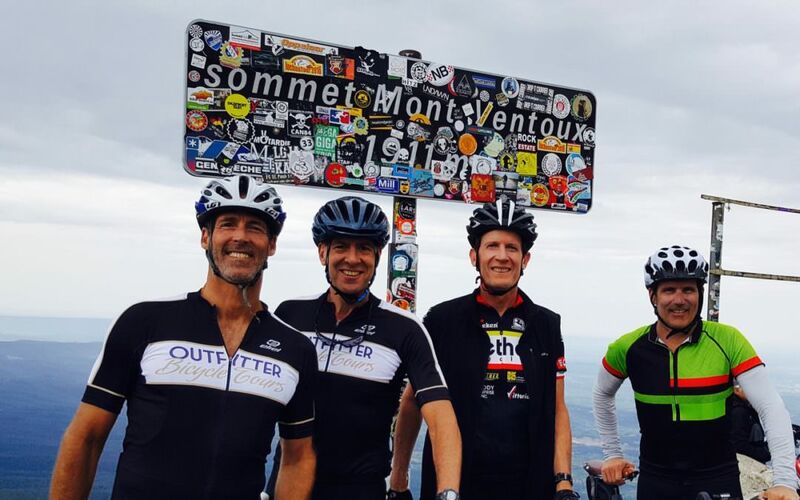 If you want a challenging ride that offers the opportunity to conquer the 1,912 meter “Giant of Provence”, Mont Ventoux, the 8-night Aggressive tour is for you. This tour is designed for riders who want to explore a greater area of Provence while attempting some of the great climbs of the area. We built in entire days of rest and relaxation, creating ample space to sightsee and enjoy. Gordes, Vaison La Romaine, the Luberon, weekly village markets, and much more are on the itinerary! Romance, food, wine and some bike riding that is guaranteed to make you feel like you earned that second cup of gelato. 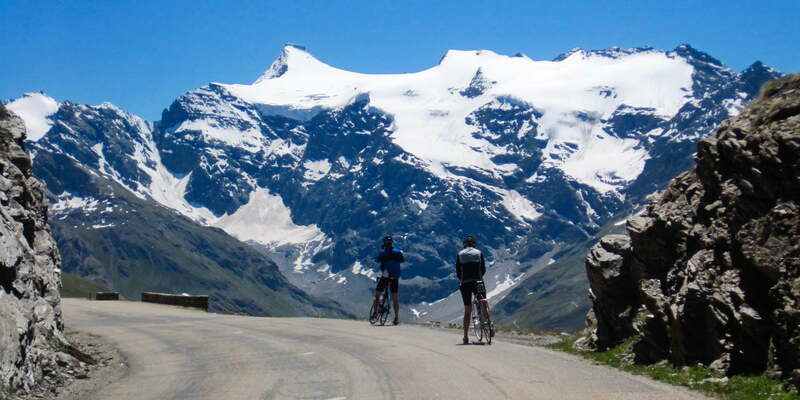 Are you ready to conquer all of the famous climbs of the Alps? Our high Alps bike tours offer two options for tackling many of the climbs you have seen your cycling heroes race up in past Tours de France. There are lots of way to customize this tour (and all our tours) but our favorite itinerary starts and ends in St. Jean de Maurienne and allows you to take on Alpe d’Huez. Your hotels are perfectly located near the epic climbs of the French Alps. We prefer hotels La Grave, Valloire, and St. Jean de Maurienne because of their central location, and ease of getting to and from the routes on your tour. It’s not hard to see why this tour made our list of the best bike tours for advanced riders. Don’t be fooled by the mountains in the southeast. They may be a bit more worn down that some other mountains but we can guarantee you a thigh-burning ride that you won’t forget. Our favorite test of will is Mt. Mitchell. 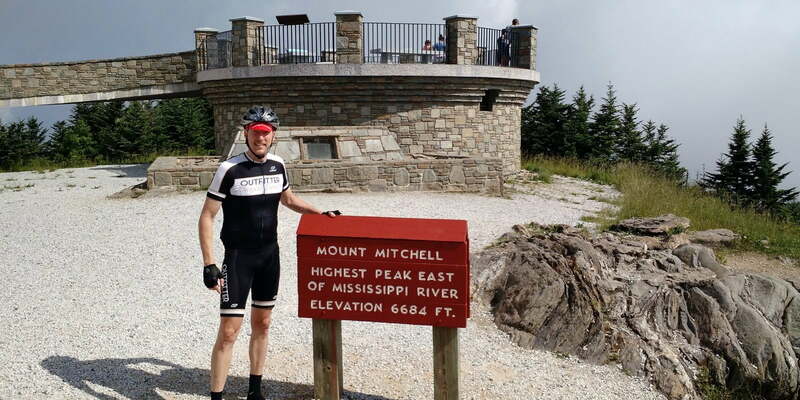 Sitting at over 6,500 ft., it is a beast that rewards you with a stunning view and since it’s close to Asheville, you can get your ride done and then enjoy some of our world-class breweries and farm to table restaurants! Western North Carolina offers miles and miles of smiles that we would love to share with you! Bringing along a less advanced rider? Don’t worry! We can offer suggested routes for those who aren’t quite ready for Mt. Ventoux or Mt. Mitchell. You can still get your workouts in and then meet-up for post-ride drinks and meals to trade stories! OR you could always consider adding an Ebike to your group! Talk about the ultimate in flexibility! That’s the beauty of our customized tours – we work to make the tour fit your needs and wants. We don’t expect you to perfectly fit into one of our suggested itineraries. So? Do you feel inspired? Let us fine-tune one of our best bike tours for advanced riders for you!